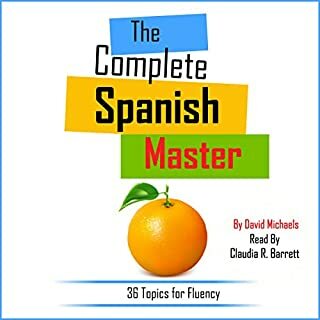 Where does The Complete Spanish Master rank among all the audiobooks you’ve listened to so far? This is my first audiobook, and I find it very helpful and easy to use. Which character – as performed by Claudia R. Barrett and Rebecca María – was your favorite? No, 5 hours is too long for one sitting, especially for a learning book. I prefer listening in smaller sittings to make sure I understand and retain everything. I'll be searching for more language-learning audio books from this publisher. ***I was provided this audio book for free in exchange for an honest review.